The alpine, seascapes and rainforests – this park has it all! I have been a subscriber to Outdoor Photographer magazine for a few decades now, and the occasional feature on Olympic National Park always got my attention. We finally had the opportunity to indulge that curiosity with a trip in 2007 that also included Mt. Robson Provincial Park – a 2,800 km odyssey! Our trip was mostly based out of motels in Port Angeles and Forks, but also included an overnight backpacking trip on the High Divide Loop Trail. We left Vancouver after an early breakfast and caught the ferry over to Victoria. There, we visited Butchart Gardens before having a late lunch downtown Victoria and catching our second ferry of the day to take us to Port Angles, Washington. Our first full day in Port Angeles was spent getting organized, permits, groceries, etc. We drove up to the Hurricane Ridge Visitor Centre to take in the views, and were glad we made the trip (we underestimated the distance and fuel required to get to the visitor centre, however, and had to make a u turn midway and coast back to Port Angeles to get gas before finally getting to the visitor centre!). We allowed ourselves to approach this as a pretty relaxing day – we would be spending a lot more energy over the next two days as we tackled the High Divide Loop Trail. Our second and third full days in the park were spent on the High Divide Loop Trail. The Falcon Guide for Olympic National Park had given this trail and the campground at Lunch Lake its high marks, and we were not disappointed. You can read more about this backpacking trip here. The final two days were spent visiting the Hoh Rainforest, as well as on two separate outings to hike sections of the coastal trails. The town of Forks served as an excellent basecamp on these days. With so much to see and do in this park, we had to shortchange the rainforest outing, spending only an hour or two just to make it all fit in. We were able to take in the Hoh Rainforest Visitor Centre, as well as follow the Hoh River Trail until we decided it was time to turn back. You can read more about our coastal hikes here. We stayed here at the beginning and end our outings in Olympic National Park. Clean and friendly. 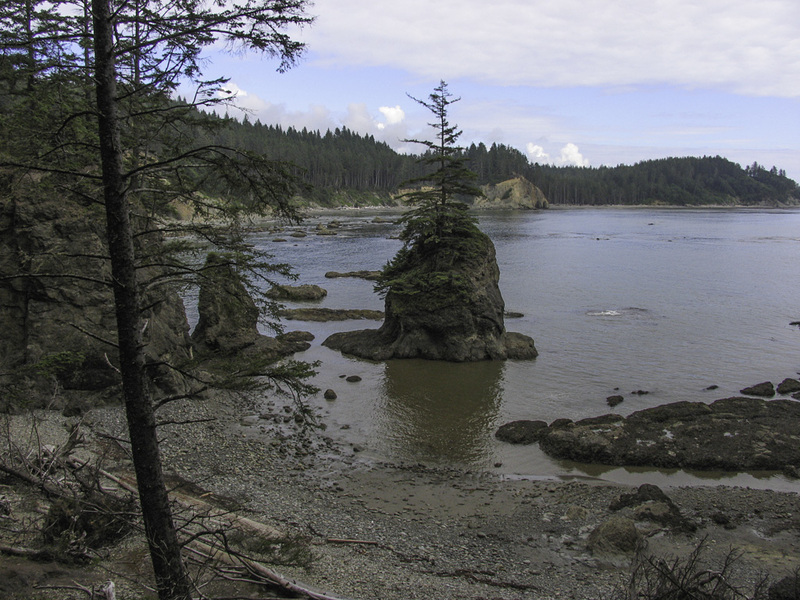 Forks is the gateway to the coastal as well as rain forest trails. 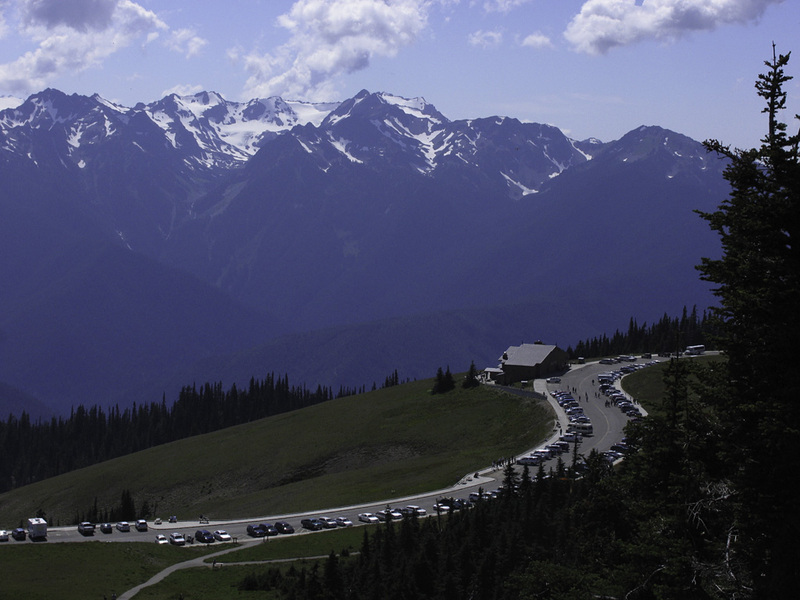 Erik Molvar: Hiking Olympic National Park (Falcon Guide). This guidebook is full of practical information to help you plan your backpacking and hiking outings. Swain’s General Store, Port Angelis. This place sells just about anything you could have forgotten at home for your trip!